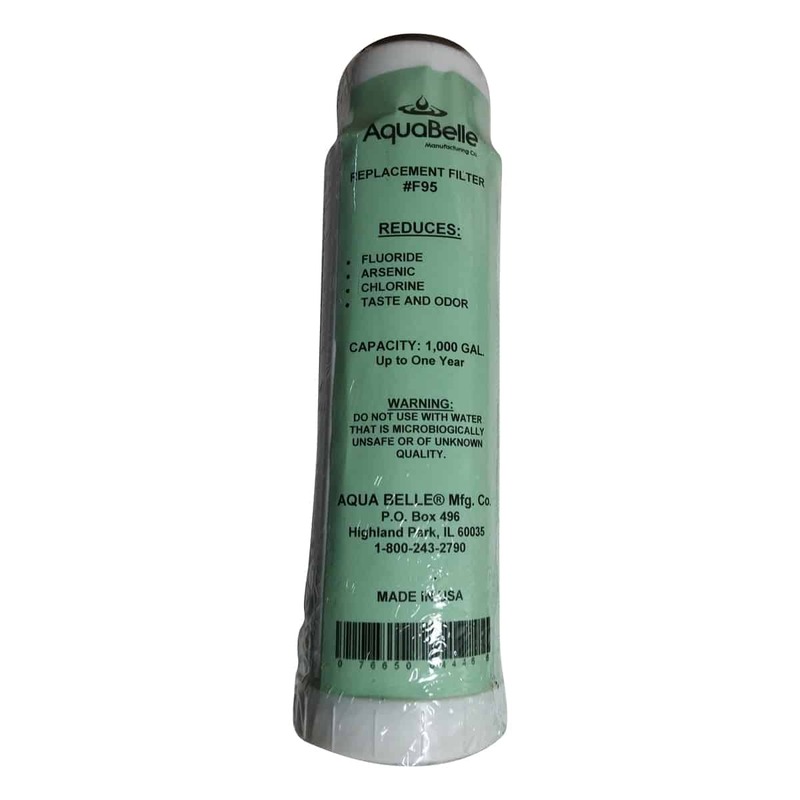 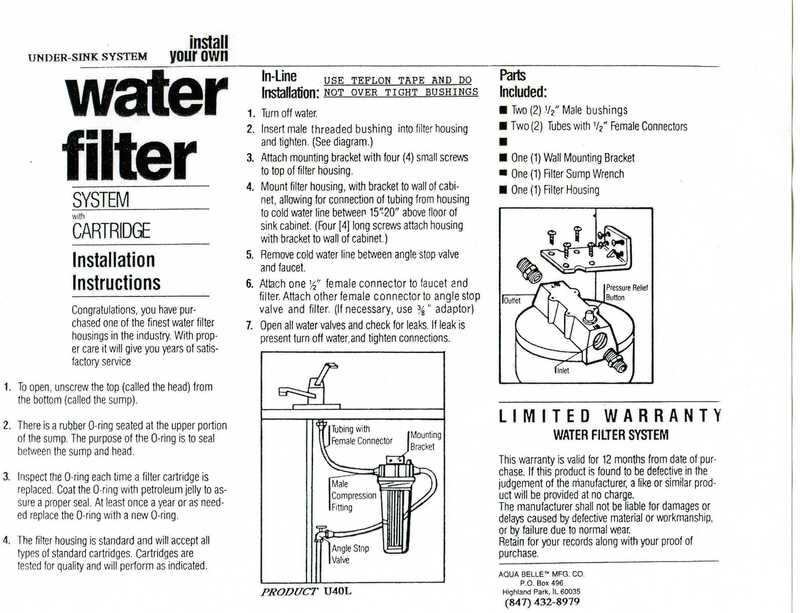 Fluoride Filter (#F95) up to 1,000 Gallons. 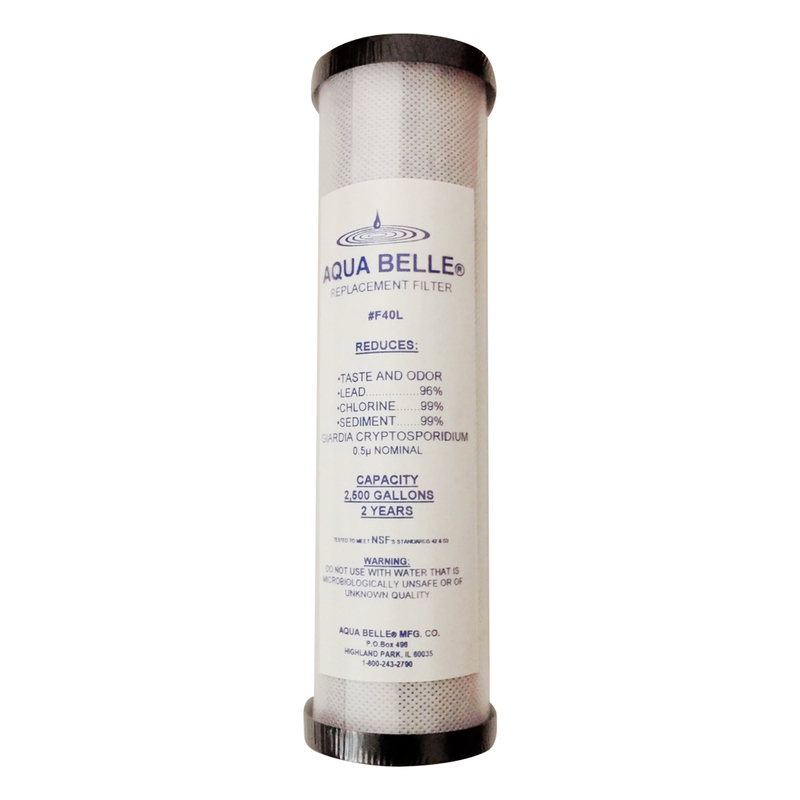 Filter #F40L (lead) up to 2,500 Gallons. 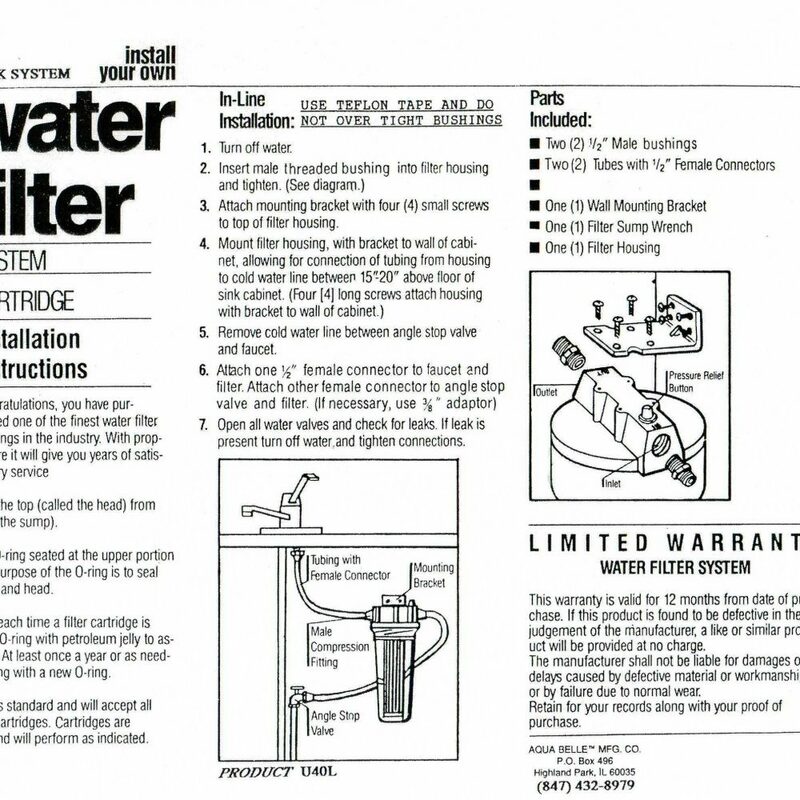 Right Out of Your Faucet, No Daily Limit On Use. 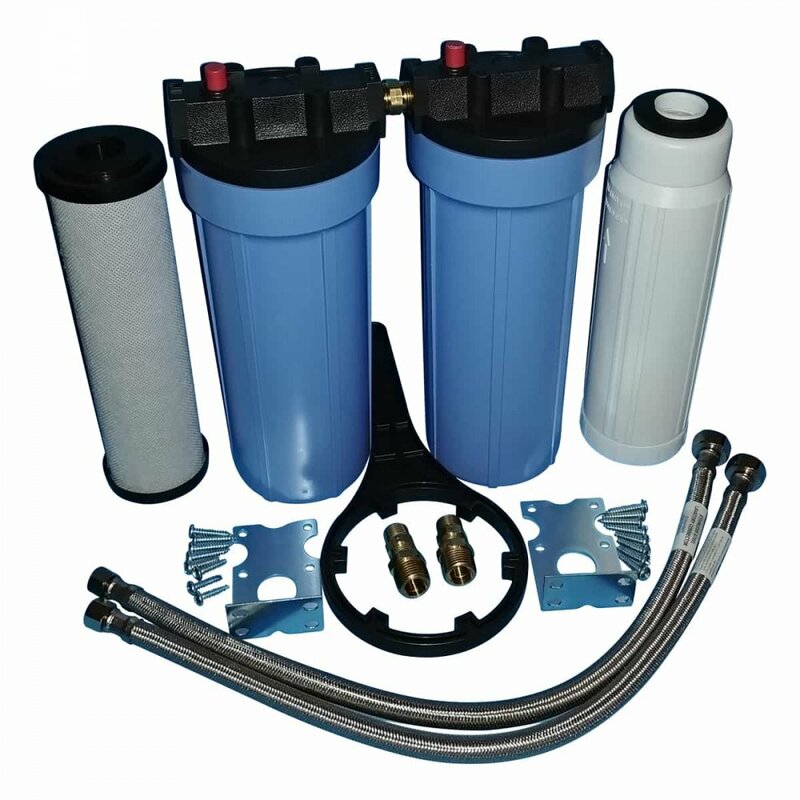 Comes with all theHoses & Fittings, Brackets and wrench, Ready to be Installed. 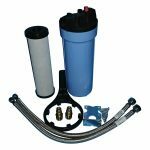 Size L-11″ x W-5″ x H-14″(including the bracket). 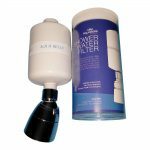 THE AQUA BELLE WATER FILTER SYSTEMS REMOVE FAR MORE THAN JUST FLUORIDE FROM YOUR TAP WATER The Aqua Belle fluoride water filter cartridge can be configured in a system that uses a double cartridge configuration with activated alumina cartridge (#F95) in the first position for fluoride and arsenic removal and the Aqua Belle ceramic carbon filter cartridge (#F40L) in the second position for removal of heavy metals (including lead and chromium 6), cysts, VOCs, THMS chemicals, traced pharmaceuticals and more.